Rachel Allan has been a business owner for 13 years, and a mum for 6½ years. On her business-and-baby journey she has learned a lot about life, business and herself. While it has not always been an easy ride, it has been fulfilling. She feels a strong calling to share her discoveries (and the wisdom of other parents and experts) with you in this new book, When Business Meets Baby. Rachel’s inspiration is vibrant 6½-year-old daughter Sophie, who has her own busy little life with school, dancing and friendships. Rachel is honoured to be Sophie’s mum, and she is also an author, integrated marketer, entrepreneur, and property investor. From 2007 she has shared her journey with her business and life partner Craig. Be the strong, empowered woman who grew and birthed a baby. Be the brave woman who took a leap of faith and started a business. Allow balance into your life. Allow joy and happiness. See how success will follow. If you would like to discover more about Rachel and the services she offers, visit her at www.rachelallan.com.au. (Click the Title Above to listen to the Interview. 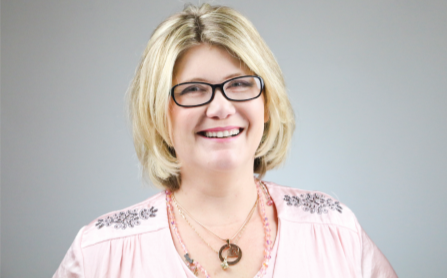 Rachel Allan is a highly sought after speaker, coach and consultant, specialising in marketing strategy and mums in business. Rachel understands that business success can be achieved by all, and her passion is to help others to achieve their business dreams also. She draws strength by connecting like-minded people, creating pathways and business opportunities for people, especially women, who want to develop and grow their own business. Rachel believes mums need to give themselves permission to stop being super mum.